Today, the European Journalism Observatory launches its newly restyled English website. Soon, all 10 linguistic versions will adopt the new layout and interface, which features a reader-friendly front page, more content, and ultimately more opportunities for our readers. The updates are designed to handle all the challenges of a highly networked digital environment: we’ve expanded our connections with social media, strengthened our internal search engine and graphically restyled our outline. The new website offers a more in-depth and continuous reading experience, creating bridges among topics and fields of coverage. Readers are given the chance to directly comment on articles via Facebook in order to promote discussion about current topics and events. Via the tag cloud, surfing among articles and topics will be easier and thanks to the new “You may also like” section placed alongside each article, readers will receive suggestions for related work we’ve published on the same topic. More new features are available, so let’s start browsing. EJO’s new site has been designed and implemented by our Swiss IT partner YourMedia. As always, feedback is welcome. Philip Di Salvo is a post-doctoral researcher based at the Institute of Media and Journalism of the Università della Svizzera italiana (USI) in Lugano. His main areas of research are whistleblowing, investigative journalism, internet surveillance and the relationship between journalism and hacking. At USI, he also teaches journalism at both the bachelor's and master's levels. Philip received his PhD in Communication Sciences from USI in 2018 with a dissertation on encrypted whistleblowing platforms in journalism. He is also a lecturer at Milan's Nuova Accademia di Belle Arti (NABA). As a freelance journalist, he writes about the social impact of technology for Wired, Motherboard/Vice, Esquire and other publications. Philip obtained a master's degree in Media Management from USI in 2012 and a bachelor's degree in Literature from Milan's Università degli Studi in 2010. He is the Italian editor of the European Journalism Observatory, based at the USI in Lugano. Should journalists be more emotionally literate? 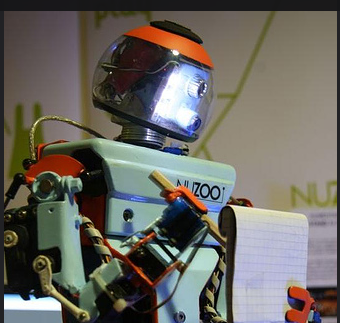 Can Robots Do Public Interest Journalism?